iFonebox is a desktop-based data recovery app used for iOS devices data retrieval needs. The data types that can be retrieved by the software include photos, notes, call history, and music, etc. Even with the convenience offered by iFonebox iOS data recovery software, it has its own disadvantages. There are some occasions when the iFonebox simply does not work and it can result in a stuck device. Because of the possible disadvantages of iFonebox, that may be the reason why you need iFonebox alternatives. And here we have collected top 5 best ones for your reference. 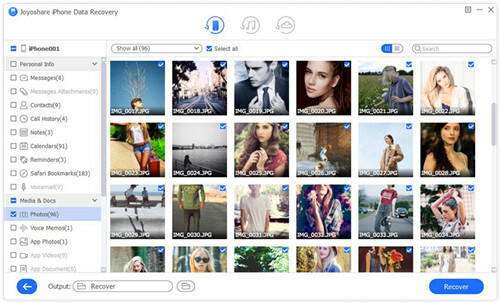 Joyoshare iPhone Data Recovery is among the top alternatives to iFonebox for Windows and Mac. In fact, it is the first program that you should employ its use as it is reliable. The software is able to help you recover your data regardless of the cause of data deletion or loss. Data can be deleted from your iPhone or iPad because of different reasons including device damage, software upgrade failure, and unresponsive device, etc. Using Joyoshare iPhone Data Recovery program, it is possible to recover about 20 different file types from iPhone, iPod and iPad. These files include call log, voice mail, photos and videos, WhatsApp messages, calendar and many more. 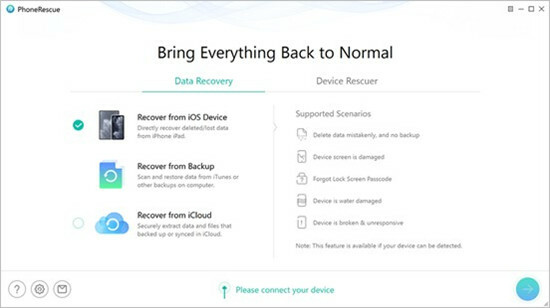 The program is also offers three different options for data recovery, which are the use of iCloud backup, iTunes backup and connecting your iPhone/iPad device to the computer and recovering the data through the software. FonePaw iPhone Data Recovery is another available iFonebox alternative. If your device happens to be stolen, damaged by water, has a system problem or simply forgot passcode, then the software will come in handy. PonePaw iPhone Data Recovery supports different types of file recovery such as contacts, App videos/photos/audios, message attachments, notes, photo library and messages among others. Apart from enabling iPhone and iPad data recovery, the program also supports repair your frozen iPhone or iPad to be able to work normally. For the proper handling of your iOS and Android data disasters, iMobie PhoneRescue expertise will be a nice choice and can also be a good alternative to iFonebox iPhone Data Recovery. 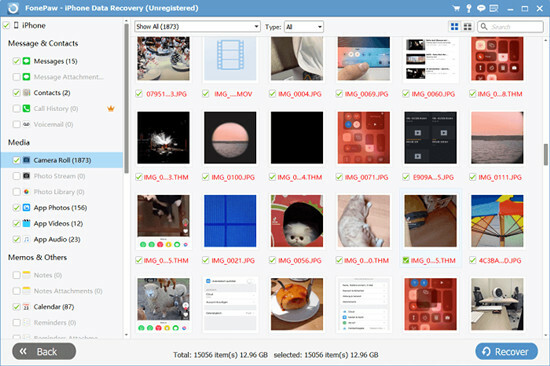 The software is able to recover data and files of up to 16 different types for iPhone and iPad. These data and file types include photos, messages, call history, reminders and other media files. The program supports Windows versions including Vista, XP, 8, 8.1 and the various Mac OS versions. Additionally, it is able to fix your iPhone and iPad from any breakdown type. Whether your device is experiencing iOS update failure, black screen, or even stuck on Apple logo, using the iMobie PhoneRescue will resolve the problem. 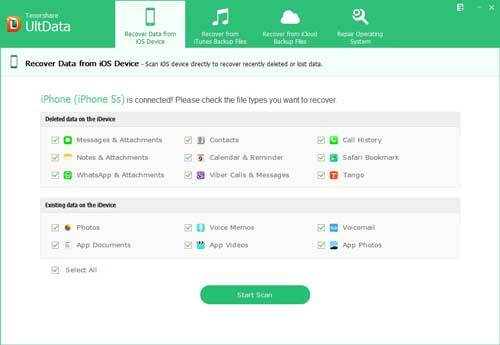 This free iPhone data recovery software was developed for both Mac and Windows. The software allows you to recover missing data caused by various issues including accidental deletion, a device lost/broken and iOS upgrade, etc. It is also important to note that the free version of the software allows retrieval of only some kinds of lost data from the iOS device itself, from the iCloud backup and iTunes backup. Important file data including messages, contacts and call logs apart from others can only be recovered using the paid version of the software. 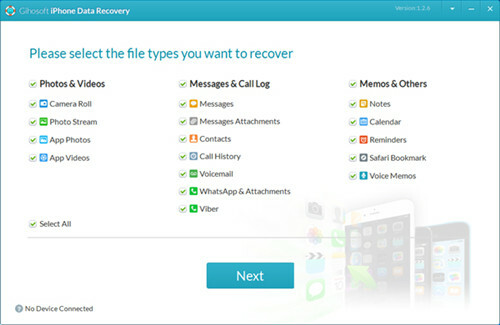 The user interface is designed in an easy to use manner to enable you to be able to recover your lost data like a pro. The three simple steps involved are connecting your device, scanning and searching, and lastly, previewing and recovering. The last alternative to iFonebox mentioned here is Tenorshare UltData iPhone Data Recoery. When it comes to the function of recovering the lost and damaged files of iPhone and iPad, Tenorshare iPhone Data Recovery software is considered a beast. The software is able to recover up to 20 different file types including messages, contacts, Safari bookmarks, camera roll and WhatsApp (messages/photos/videos), without backups. Moreover, the software boasts of 3 data recovery modes, so your lost data can be recovered from iOS Device, from iTunes backup, and from iCloud backup. In conclusion, provided above are only 5 top-rated alternatives to iFonebox for Windows and Mac, and the hope is that you find this information useful. Considering the features, pros, and cons, you will be in a better position to choose the best iPhone and iPad data recovery software for your use. By choosing data recovery software like Joyoshare iPhone Data Recovery that works enchantingly, data is able to be recovered whether the device is broken, stolen or experiences OS breakdown. It doesn't really matter the cause of the data loss.